We here at Football Garbage Time love our readers. And we also love fantasy football. 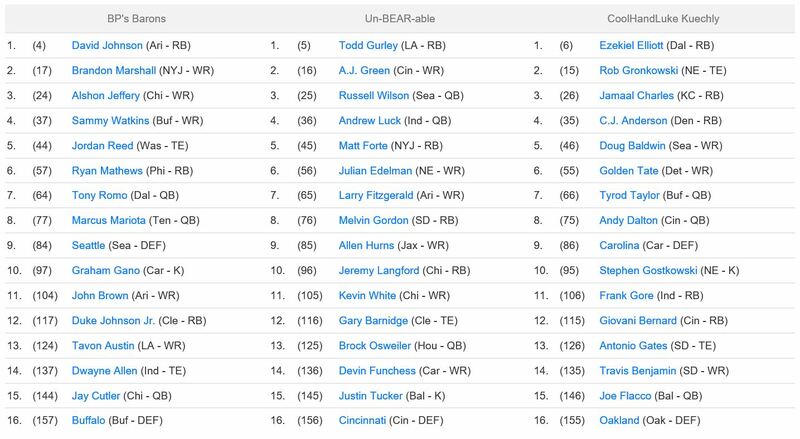 So we discussed who we would draft in our Mock Draft breakdown for Rounds 1 & 2, walked through an actual draft and our individual strategies, and played through half a season. So now we’re back to tell you our best and worst moves so far. Because although we think we’re brilliant, we certainly have made some bad calls as well. As I said, our league isn’t “run-of-the-mill”, because as you know, it’s not our style. We did it up with a custom 10-team head-to-head 2 Quarterback league with an added half point per reception. In total, each team will have to field 2 Quarterbacks, 2 Running Backs, 2 Wide Receivers, 1 Tight End, 1 WR/RB/TE Flex, 1 Kicker and 1 Defense/Special Teams. Wonder who our fantasy MVPs and Busts are? Well, take a look, and I’ll make a few comments along the way along with some of the rest of the staff. And if you’d like to follow our league, feel free to check it out throughout the season by clicking the button below! Needless to say, I am quite disappointed in the fantasy team that Yahoo auto drafted for me. One might say perhaps that yahoo did me dirty this year. Another might say that I’ve done a terrible job on the waiver wire, but it’s easier on the psyche to blame Yahoo. Lol. Anyway, the highlights have definitely been Antonio Brown (despite losing Big Ben for a couple weeks) and the Denver Defense. Mark Ingram, Travis Kelce and Brandin Cooks have been great except when they haven’t. Probably the biggest disappointment was Desean Jackson who I never ever would have drafted due to a previous horrific experience when he was a lil’ diva on the Eagles. Long story short, I need to do a better job on the waiver wire or I’m toast! My MVP and best draft pick is Mike Evans. He’s been solid in Tampa and performing as expected. 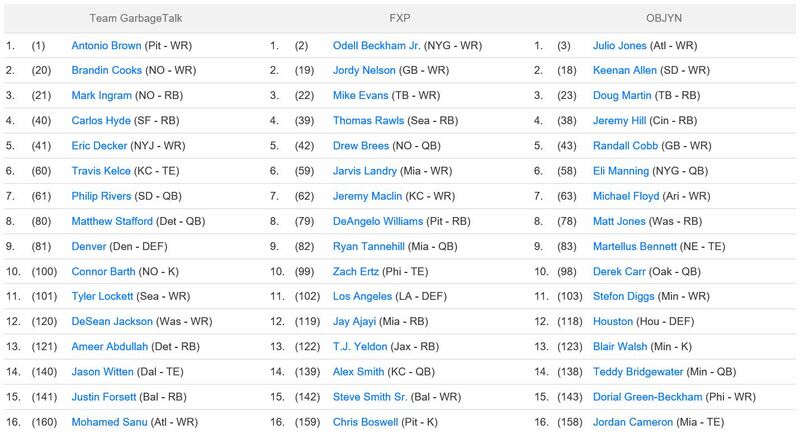 My worst pick so far is Jordy Nelson, but I have hope that he gets hot the rest of the season. The stupidest move I’ve made all year was targeting and drafting Jay Ajayi because I liked him and didn’t trust Arian Foster. Then I dropped Ajayi, then I picked him back up but at the end I’ve never played him and gotten any of his fantasy points. Lesson learned. Don’t try and outsmart yourself. If you like someone stick with them. 1) As a part of the Falcons surprisingly prolific offense, Julio Jones has been my midseason MVP. 2) Sticking with the Jones thing, the one named Matt out in DC has been my biggest disappointment. Too many injuries and not enough production will make me stay clear next year. 3) My best move of the season was claiming Sam Bradford and Carson Wentz before the season to keep them away from other teams. To be expected, David Johnson has lived up to my expectations as my first pick, 4th overall. He has been as solid and reliable elite FF points earner week to week. And also to be expected, Romo hurt my line up even before game 1. I expected a LOT more from Todd Gurley with the fifth pick. 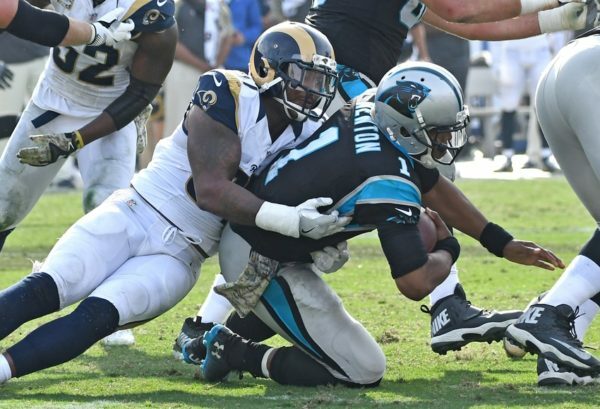 He had the third most rush yards last year, and now had a full year under his belt in the Rams system and was the focal point of an offense that doesn’t have many other weapons. I thought that getting a true “bell cow” back would give me an advantage in head-to-head matchups. 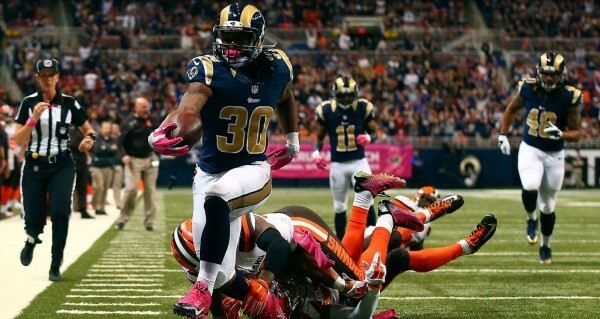 But Gurley absolutely tanked with a measly 56.4 rush yards per game and just 3 total TDs this year through 8 games. He’s getting a little more involved in the passing game of late, but that’s not much consolation for a first round pick producing like a last round flyer. And with his value so depressed, trading him would require taking pennies on the dollar, so now he’s just an albatross sitting on the bench until he heats up enough to garner interest. 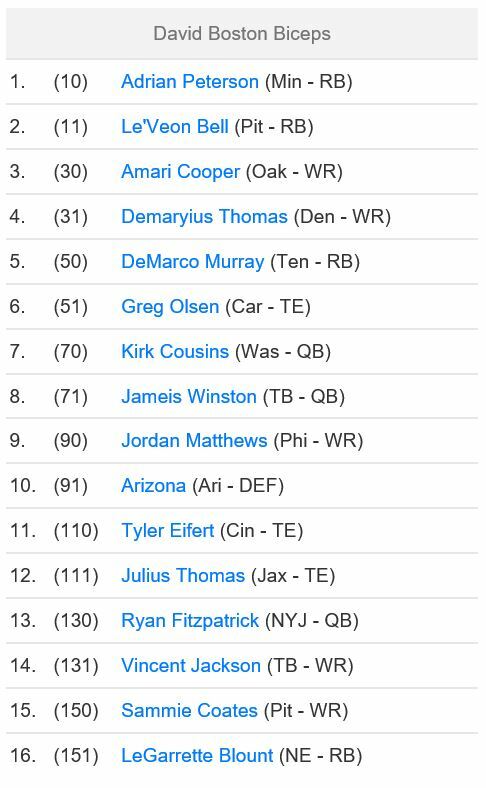 And, of course, at the time of the draft, I though my best value was Jeremy Langford in the 10th round. 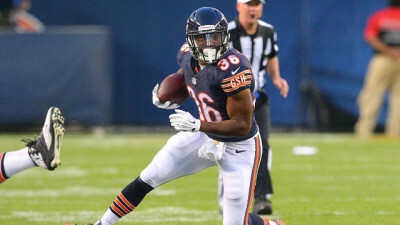 I was confident that Langford’s performance in 2015 was a sign of things to come, as he had 537 rush yards, 279 receiving yards and 7 total TDs starting about half the games for the Bears. When the Bears drafted Jordan Howard in the 5th round of this year’s draft I WAS a little concerned. Howard had 1213 rushing yards and 11 rushing TDs in 2015 for Indiana (3rd best in the Big Ten), and 1587 rushing yards and 13 TDs in 2014 for Alabama-Birmingham (2nd best in CUSA), so there was reason to believe he could become productive as a primary RB in the NFL. And, unfortunately, after Langford got injured in Week 3, Howard took over for good. There was some hope he’d be productive when he returned in Week 8, but alas, Howard was too good to stop getting carries. Now to the good news. 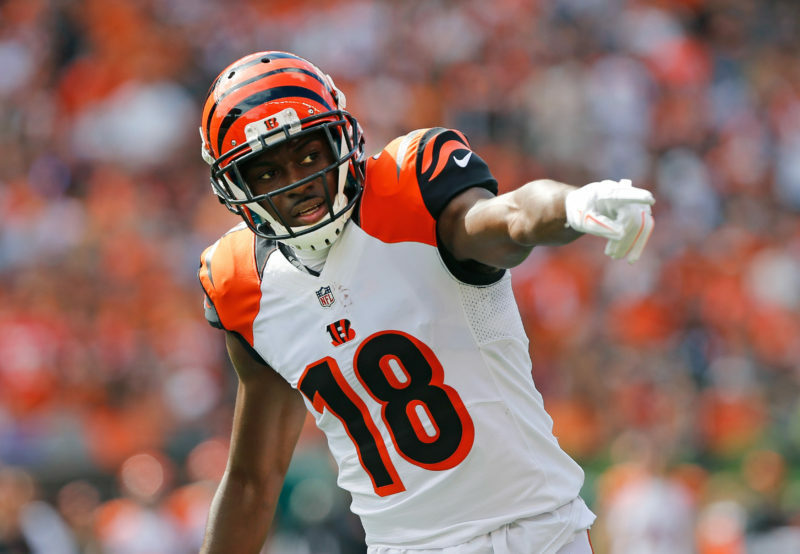 AJ Green has been an absolute beast for a second round pick. Through Week 9, Green has the most receiving yards per game (112), the most receptions per game (7.4) and 3 receiving TDs for good measure. His consistency from week to week is perfect for the head to head format, and his upside was completely uncapped without Tyler Eifert available. Even with Eifert back in Week 8 he went bonkers with 121 yards on 9 receptions. He’s absolutely my team’s MVP. 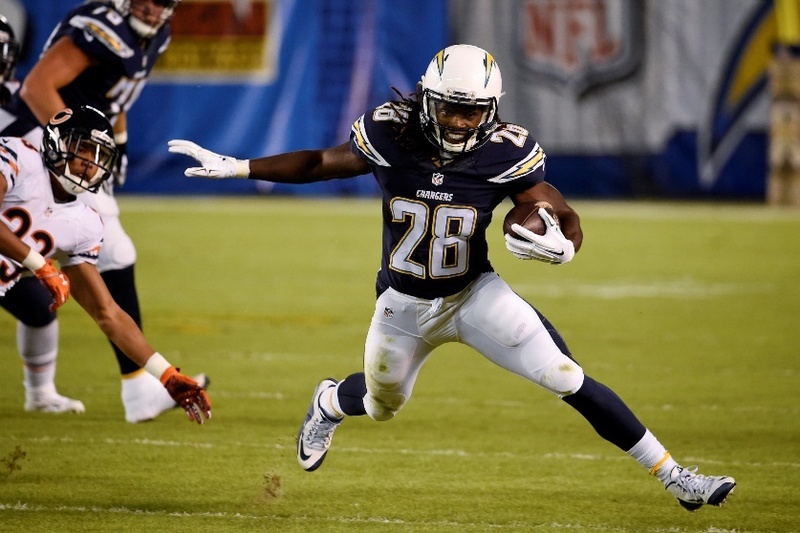 But Melvin Gordon is a close second. He’s already exceeded his subpar rookie season by averaging 85.3 rush yards per game and 31.6 receiving yards per game with 11 total TDs. That’s about double the total yards per game Gordon had in 2015 and full 11 more TDs. Maybe it was JJ Watt’s brother, Derek, who blocked for Gordon in Wisconsin that made the difference. Maybe Gordon just become better and finding gaps and running downhill. Either way, he’s been a great RB1 acquired in the 8th round. Thankfully, I think the good outweighs the bad on my team and I have confidence I’ll make the fantasy post season! 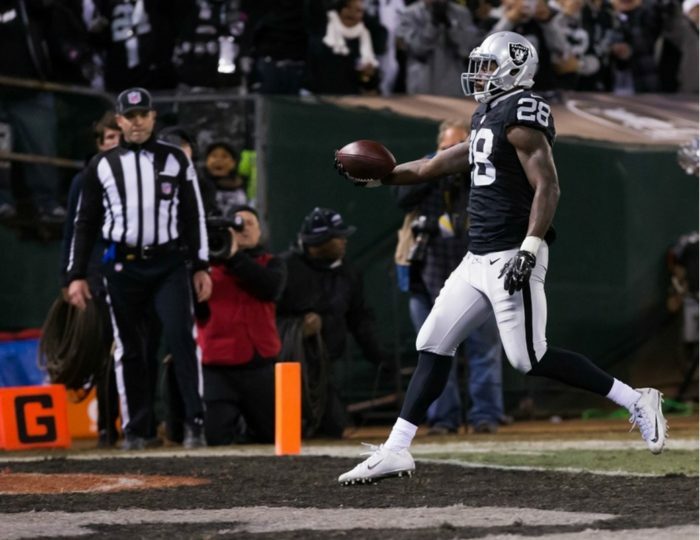 1) MVP Player – Running back, Latavius Murray, for the Oakland Raiders. Drafted by Two Cool Dudes in the fifth round, not only have the Oakland Raiders surprised the NFL with their 7-2 record, but they defeated the Super Bowl Champion Denver Broncos in week 9 to grab 1st place in the AFC West. Although Murray was out for 2 games this season, Murray has had consistent numbers throughout the first half of the season in games he’s played. Murray has had 393 rushing yards and 8 touchdowns on a predominantly passing offense. A 4th year trustworthy back for the Oakland Raiders…Raiders quarterback, Derek Carr, wouldn’t know what to do without him and neither would I. 2) Worst Player – It’s a little sad when the amount of worst player candidates out number the potential MVP’s on your roster. Unfortunately, that is the case with Two Cool Dudes with quarterback woes and wide receiver problems. It’s hard to fill a roster for this 2015 Football Garbage Time League Champion. 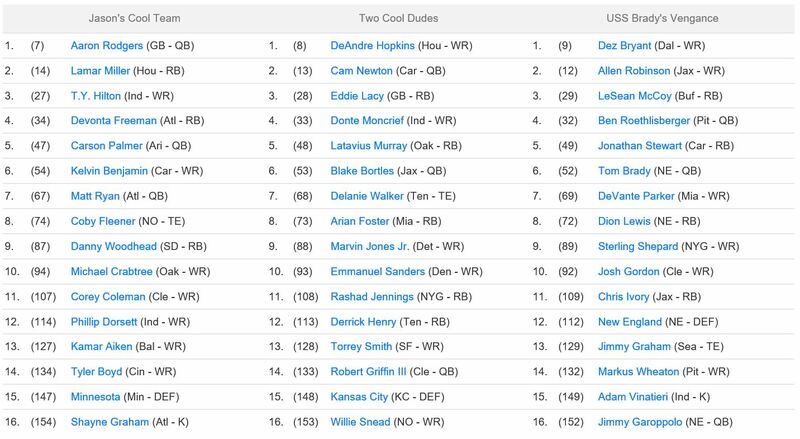 First round draft pick wide receiver, DeAndre Hopkins, was a close second, but the worst player thus far is second round draft pick, quarterback Cam Newton. Yes. For all of you that expected great things from this 2015 Super Bowl contender…you know how I feel. With consistently low numbers in the first half of the season, Cam Newton, who was ranked number 1 before the season began, is currently ranked among the worst quarterbacks for fantasy in the league. Hey, I’ve picked up quarterbacks Ryan Fitzpatrick (NY Jets) and Josh McCown (Cleveland Browns) out of desperation. Need I say more. 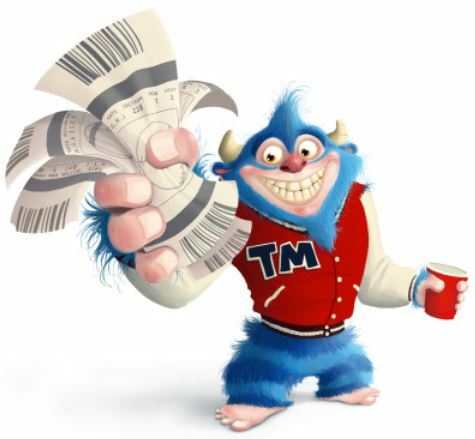 3) Best/Worst Move – Dumping players is hard. You never know if you’ve given up on them too early, and I always feel like the player will have their break-out games once I cut them from my roster. From those players that were drafted, running back, Derrick Henry of the Tennessee Titans, wide receiver Torrey Smith of the Baltimore Ravens and Cleveland Browns quarterback Robert Griffn III were among the cut list within the first couple of weeks into the season. 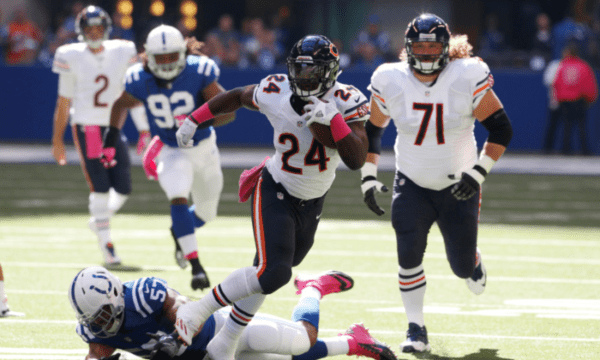 In their place, rookie running back Jordan Howard of the Chicago Bears has put up great fantasy numbers since his start. And why not, with quarterback woes of their own, the Bears’ back field has become a significant position for winning games. Perhaps Howard can’t help the Bears actually win games, but at least he’s helped the Bears look a little less incompetent. The addition of wide receiver Mike Wallace, Baltimore Ravens, has been a surprising and viable option. Wallace might not put up numbers like wide receiver Mike Evans of the Tampa Bay Buccaneers, who currently leads the league in touchdowns (9). But, Wallace is no slouch for an undrafted pickup. Wallace has 614 receiving yards and 4 touchdowns so far this season. Wallace is a dependable wide receiver option that is looking to be a more consistent option than Denver Broncos wide receiver, Emmanuel Sanders. In week 9, Wallace had 124 yards and a touchdown, against his former team the Pittsburgh Steelers.